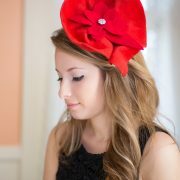 Poinsettia is a fall/winter fascinator made from hand sculpted red wool. 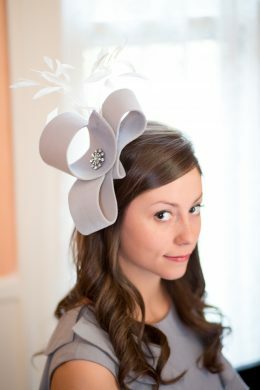 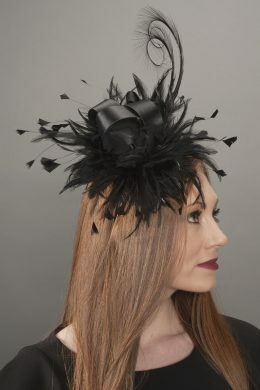 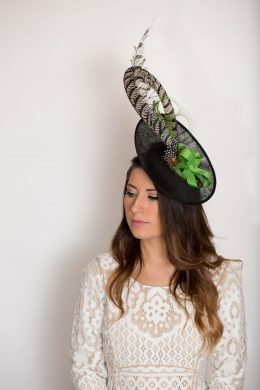 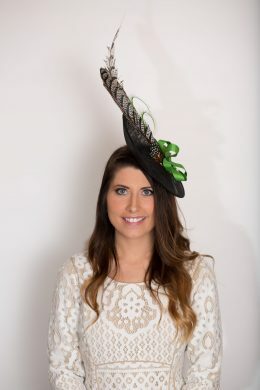 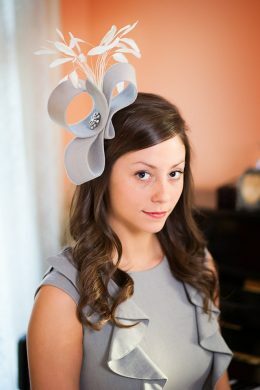 The result is a strikingly fashionable, yet easy to wear fascinator. 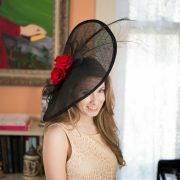 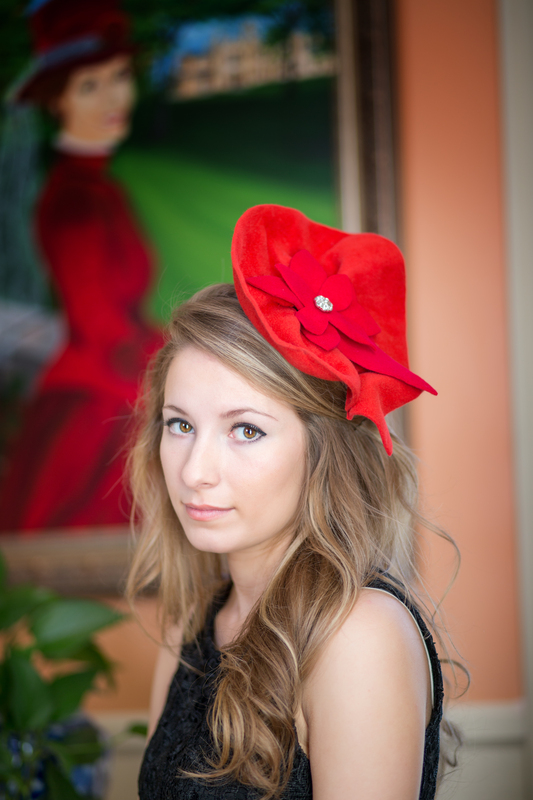 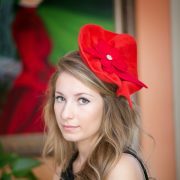 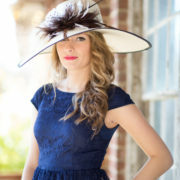 Worn to Breeder’s Cup, this striking red fascinator gets attention. 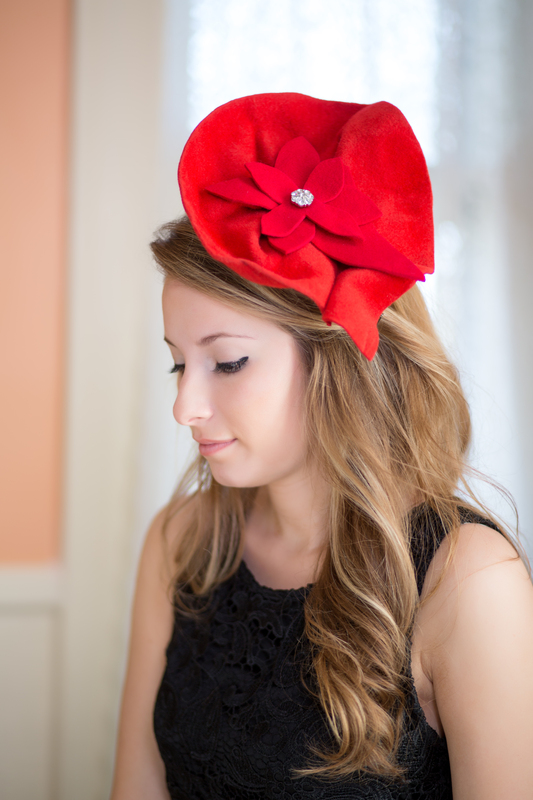 Poinsettia is worn on a headband and has a vintage style rhinestone button as a center accent.